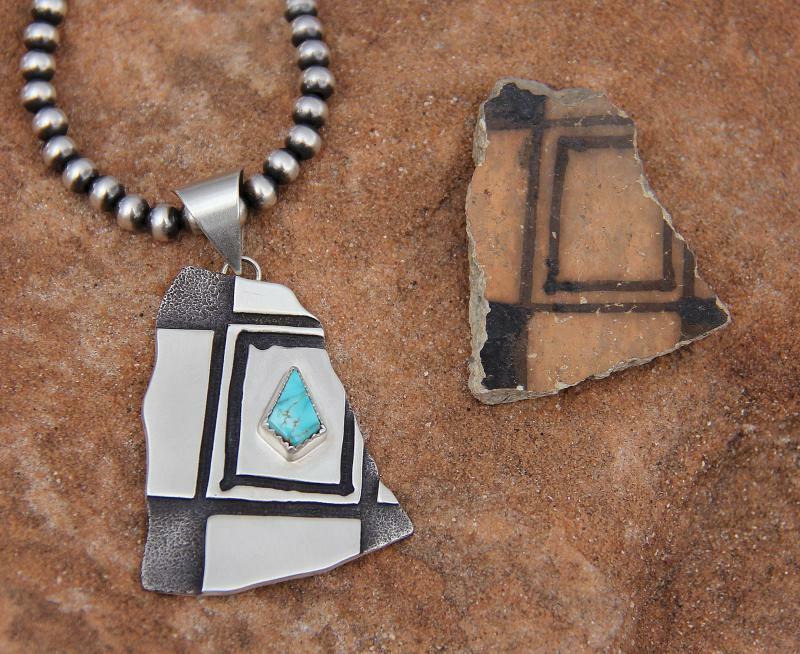 In February 2007, Mark Stevens began replicating ancient broken pieces of pottery found around Laguna Pueblo, New Mexico. 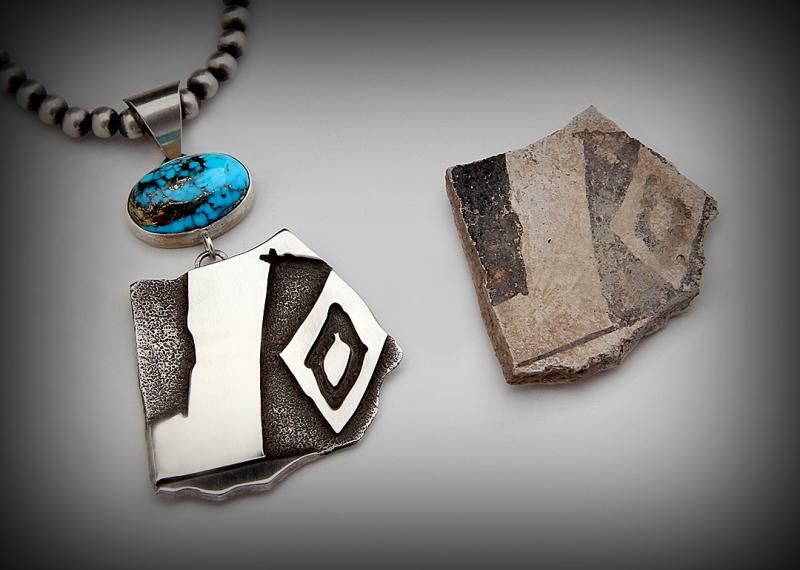 Mark captured the detailed designs and shapes of the original shards and made these into pieces of jewelry. The old designs are accurately captured in a contemporary 3-d format. Each original replica is created in sterling silver and entirely made by hand (overlay technique). These replicas permanently preserve the beautiful artwork of our ancestors in a contemporary medium.